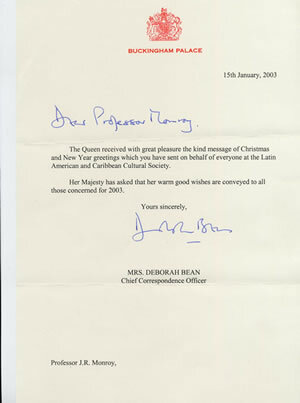 The Latin American and Caribbean Cultural Society is an independent and non profitable organization, has received Her Majesty's letter congratulating LACCS-UK PEARL JUBILEE, 30th Anniversary to be celebrated in the United Kingdom 2013. It is a great honour for LACCS-UK to serve and to work for three decades innovative cultural projects with Heads of Mission accredited at the Court of St. James's. The Heads of Mission Assembly was organised by Professor J R Monroy, Chairman of the Latin American and Caribbean Cultural Society, an independent and non profitable organisation better known in the U.K. as LACCS-UK, founded in London in 1983. 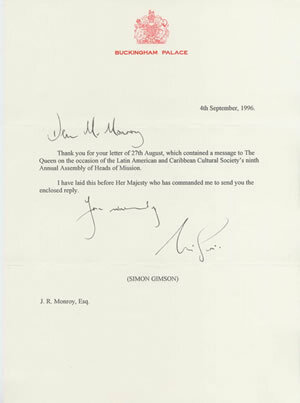 I had the privilege of organising for eleven years the Heads of Mission Assembly in London from 1988 until 2000. 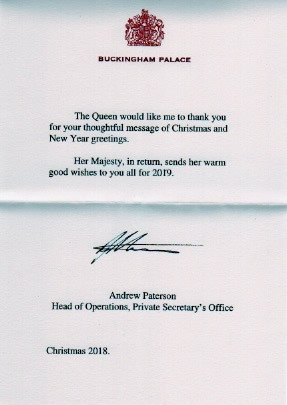 I can honestly said that LACCS-UK have fulfilled its expectations, through the good offices of Their Excellencies Heads of Mission who co-hosted the function and the messages sent by Heads of State of participant countries. 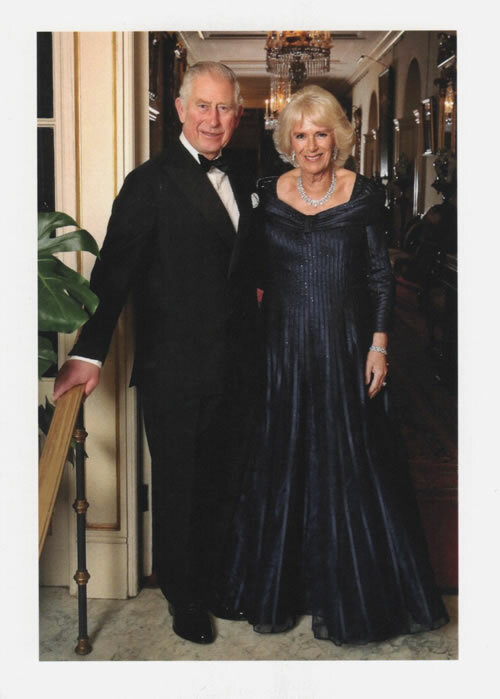 The Gala reunion became a meeting of a wider international scope. 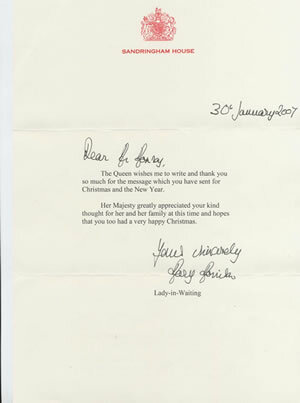 and grew up to be one of the most prestigious diplomatic events in London over the years, because of its unique way of bringing together people and nations of different backgrounds to share thoughts about matters of common concern. 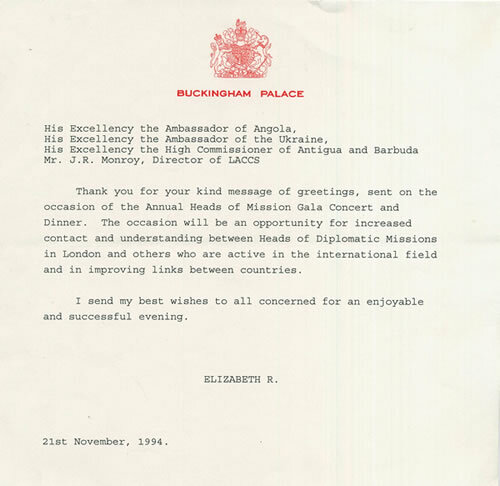 LACCS-UK was responsible for the overall organisation of the evening and our institutional aim was to encourage closer ties between members of the Diplomatic Corps. Unique in Europe, the assembly call on the Heads of Mission reunion under the motto: " Better understanding to incentivate a Dialogue of Cultures among Nations". LACCS-UK believed that the twenty first century will bring new positive ways of understanding and for that we have to aim for better co-operation and true partnership between the richer and poorest countries to create an international order of the Third Millennium. 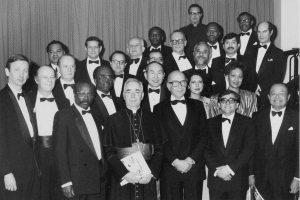 To put forward these basic values the Heads of Mission from five continents got together in London during 1988 to 2000. 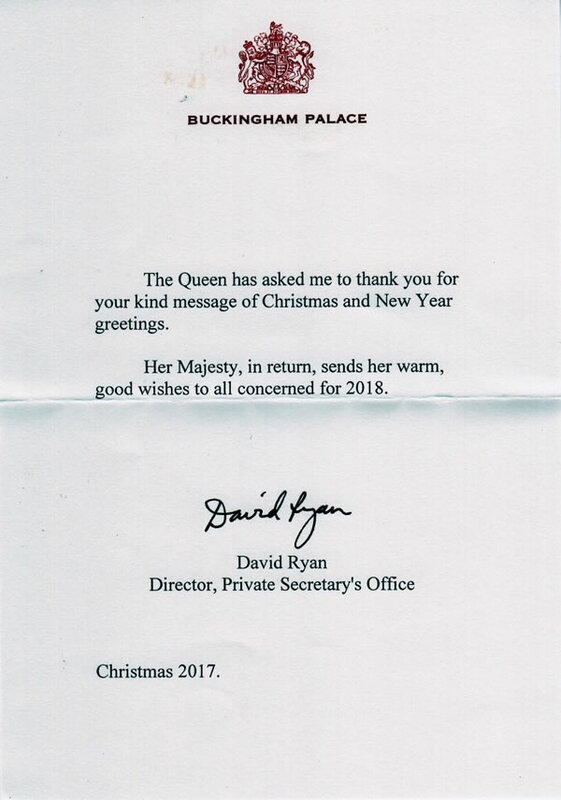 Her Majesty The Queen Elizabeth II sent a reply for several years to the Heads of Mission's messages of greetings, which were published alongside the messages of Heads of State of the countries represented who co-hosted these diplomatic gatherings. 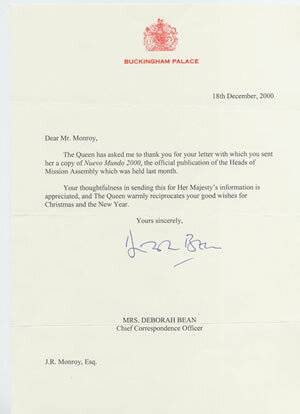 The official publication of the Heads of Mission entitled "NUEVO MUNDO 2000", ISSN 1365-4462 (New World 2000), was printed with the collaboration of diplomatic Missions and LACCS-UK colleagues under the editorial guide of Psychology and former-Professor J L Sylvester, all of them working together to launch a unique diplomatic publication, a remarkable achievement and "team-work", dedication and professionalism which brought together different subjects of international politics and Heads of State messages to the international community to embrace a commitment for a brotherhood of nations. Our aim was then, to encourage a get together of a group of countries from the eastern and western hemispheres associated under the principle of dialogue and co-operation. 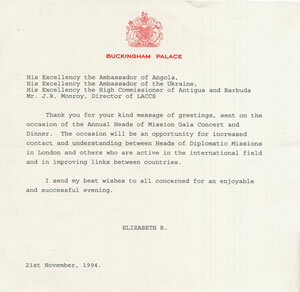 Therefore a selected group of companies joined us every year by subscribing to the diplomatic gathering to secure the success of the function, for LACCS-UK believed that private enterprises helped to create the necessary wealth to erradicate and resolve economic problems in our society. They are the dynamic forces in the world's economy therefore our recognition for their updated information passed on with their knowledge, high level of technology and research which contribute to the modernisation of countries helping them to find answers to many problems, especially in areas of poor environment and living of standards. Their names were always published in our publications "Nuevo Mundo 2000", 1988 to 2000 editions, and our gratitude for their kind support and participation in the Heads of Mission Assembly. 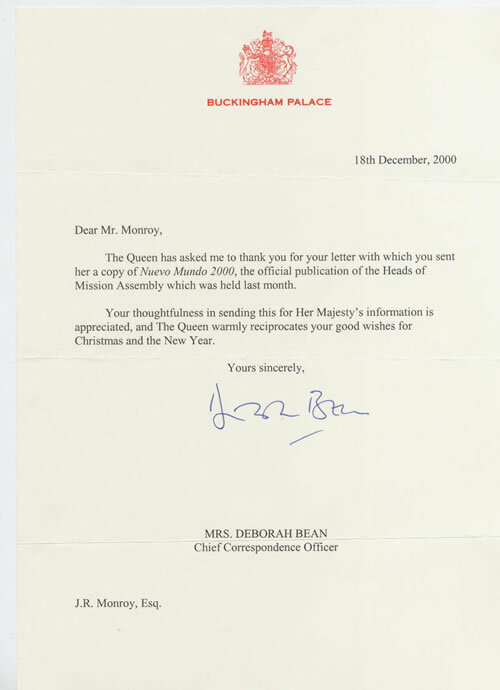 It is time to remember and to list of all the Heads of Mission who co-hosted the Diplomatic Assembly and also to mention the names of the Heads of State' s Messages, all printed in Nuevo Mundo 2000, eleven editions. The gathering was dedicated to celebrate the 500th Years of the Anniversary of Christopher Columbus and the Opening of the Single European Market. Guest Speaker: Mr Adrian Beamish, CMG, Assistant Under Secretary F.C.O. Message from The Secretary of State for Foreign and Commonwealth Office The Rt Hon Douglas Hurd. H.E. General Gary Prado, Ambassador of Bolivia, H.E. Ellen G. Bogle, High Commissioner for Jamaica, and H.E. Baron Hermann von Richthofen, Ambassador of the Federal Republic of Germany. His Excellency Lic Jaime Paz Zamora, President of the Republic of Bolivia, His Excellency Hon Michael manley, P.C.,M.P. Prime Minister of Jamaica, Herr Hans-Dietrich Genscher, Minister for Foreign Affairs, Federal Republic of Germany and The RT Hon Peter Lilley M.P. Secretary of State for Trade and Industry. H.E. Senor German Riesco, Ambassador of Chile, H.E. Senor Felipe de la Morena, Ambassador of Spain, H.E. P.L.U. Cross, High Commisioner, Trinidad and Tobago. S.M. 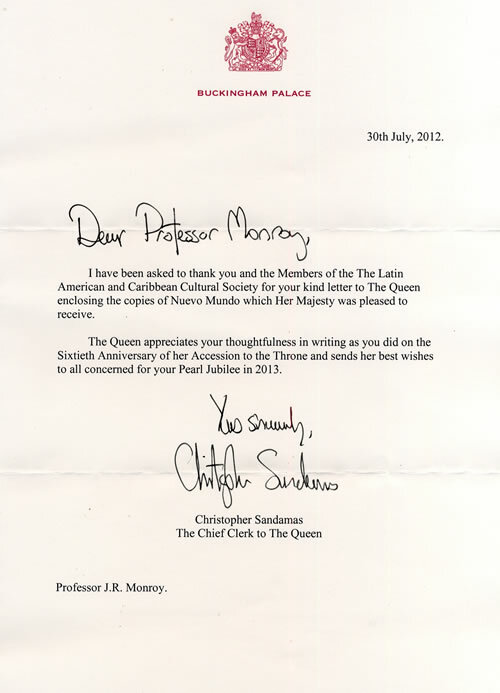 El Rey Juan Carlos, The Rt Hon John Major M.P. Prime Minister of Great Britain. His Excellency Senor Patricio Aylwin, President of Chile, His Excellency The President of the Republic of Trinidad and Tobago, Mr Moor M. Hassali. Guest Honour Speaker, Mr Andrew Murray, Latin American Department, Foreign and Commonwealth Office. H.E. Mr Sergiu Celac, Ambassador of Romania, H.E. Senor Edmundo Nane, Ambassador of Guatemala, H.E. Mr Arthur A Foulkes, High Commissioner of the Commonwealth of the Bahamas and H.E. Mr Elias Gounaris, Ambassador of Greece. 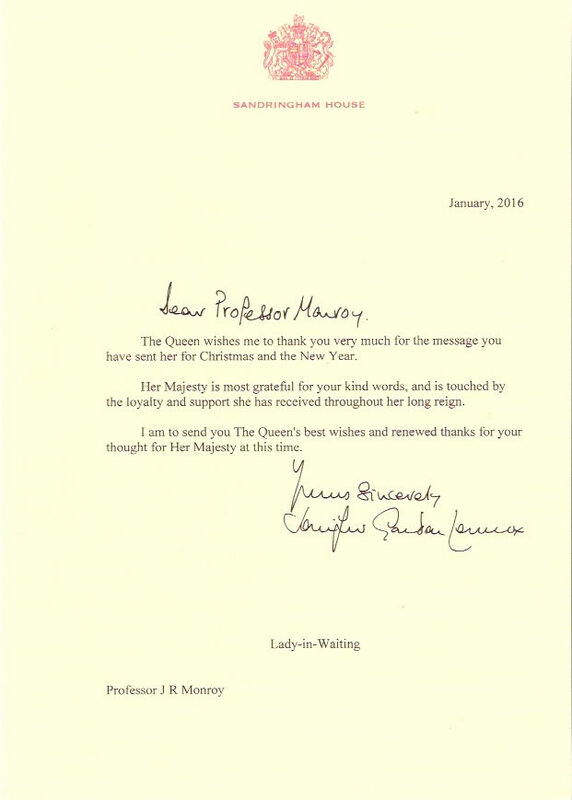 The Rt Hon John Major M.P. 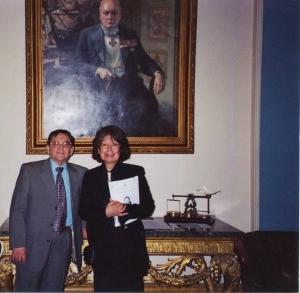 Prime Minister of Great Britain His Excellency Mr Ion Iliescu, President of Romania. His Excellency Lic. Ramiro de Leon Carpio, President of Guatemala and His Excellency The Rt Hon Hubert A. Ingraham, Prime Minister of the Commonwealth of the Bahamas. Guest Honour Speaker: Mr A. St. J. H. Figgis, CMG., Vice-Marshall of the Diplomatic Corps. H.E. Senhor Antonio DaCosta Fernandes, Ambassador of the Republic of Angola. H.E. Mr James A.E. Thomas, CMG High Commissioner for Antigua and Barbuda, H.E. 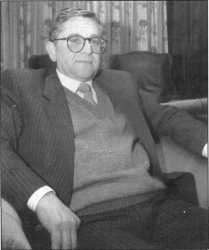 Professor Sergui Komissarenko, Ambassador of Ukraine. 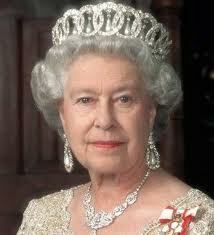 Her Majesty The Queen Elizabeth II His Excellency Eng. Jose Eduardo Dos Santos, President of the Republic of Angola, His Excellency Mr Leonid Kuchma, President of Ukraine and His Excellency The Hon Lester B Bird, Prime Minister of Antigua and Barbuda. The RT. Hon Douglas Hurd, CBE, MP Foreign Secretary of Great Britain. Guest of Honour: Mr ASt J H Figgis, CMG, Vice Marshall of the Diplomatic Corps. H.E. Arbishop Luigi Barbarito, Appostolic Nuncio and Doyen of the Diplomatic Corps. H.E. Lieutenant-General Armando Alexandre Panguene High Commissioner for the Republic of Mozambique, H.E. Mr Matjaz Sinkovec, Ambassador of the Republic of Slovenia, H.E. Mrs Celia Francisca de Cabanas, Embassador of Honduras. 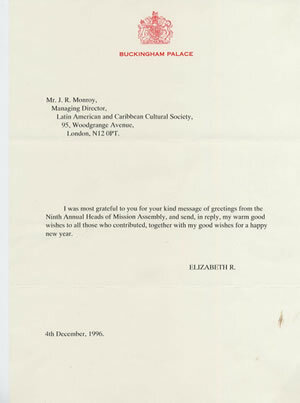 Her Majesty The Queen, Elizabeth II His Excellency E. Joaquin Alberto Chissano, President of the Republic of Mozambique, His Excellency Mr Milan Kucan, President of the Republic of Slovenia and His Excellency Doctor Carlos Roberto Raina, President of the republic of Honduras, RT Hon. Michael Heseltine, MP Deputy Prime Minister and First Secretary of State of Great Britain. Licenciado J. Delmer Urbizo, Minister for Foreign Affairs of the Republic of Honduras. Her Majesty The Queen, Elizabeth II Su Excelencia Dr Carlos Menem, President of the Republic of Argentina, His Excellency Mr Heydar Aliyev, President of the Azerbaijan Republic, His Excellency Doctor Bakili Muluzi, President of the Republic of Malawi, His Excellency Mr Punsalmaaghin Ochirbat, President of Mongolia. Joint Chair of the Ninth Heads of Mission Assembly: H.E. Arbishop Luigi BarbaritoG.C.V.O., Apostolic Nuncio and Doyen of the Diplomatic Corps, Co - Chairman. Lord Armstrong of Ilminster, G.C.B., C.V.O., Chairman. Guest of Honour: Mr Philip Astley, Director of Protocol at the Foreign and Commonwealth Office. H.E. Mr- Khalil Haddaoui, Ambassador of the Kingdom of Morocco, H.E. Mr Radu Onofrei, Ambassador of Romania and H.E.Mr Kanat Saudabaev, Ambassador of the Republic of Kazakhstan. His Excellency Dr Mahmoud Hammoud. Ambassador of Lebanon to the Court of St. James's and Ireland and Doyen of the Diplomatic Corps. Chairman of the Tenth Annual Heads of Mission: Mr Philip Louis Ulric Cross C.M.T. (Gold),D.S.O., D.F.C. 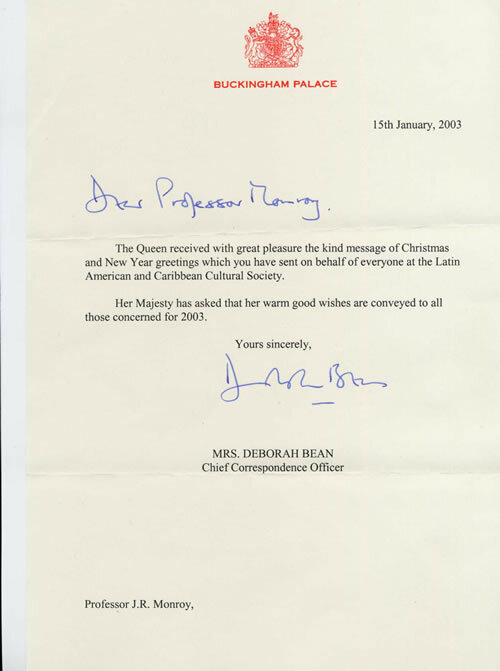 Former High Commissioner of the Republic of Trinidad and Tobago. Editorial by Prof. J R Monroy, MD, LACCS-UK, U.K.
H.E. Mr Ma Zhengang, Ambassador of the People's Republic of China, H.E. Mr Patrick Edwards, Acting High Commissioner for the Republic of Trinidad and Tobago, H.E. 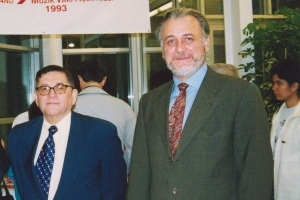 Professor Volodymyr Vassylenko, Ambassador of Ukraine. His Excellency Mr Leonid Kuchma, President of Ukraine. His Excelency Arthur N.R. Robinson, TC.,OCC.,SC., Hon.Fellow, St, John's College, President of the Republic of Trinidad and Tobago. This special issue of Nuevo Mundo 2000, 11th edition, included official speeches by the Presidents of Ukraine Leonid Kuchma, "addressed to the Millennium Summit of the United Nations", by President Jiang Zemin, "Speech given at the University of Cambridge", and by President Arthur Robinson, "Opening address at the Inter-Governmental Caribbean Conference on the International Criminal Court", at the Holiday Inn, Port of Spain. Chairman of the 11th Heads of Mission: Ambassador Dr Mohamed I Shaker, Chairman of the Egyptian Council for Foreign Affairs. H.E. Professor George B. Kirya High Commissioner of Uganda to the Court of St. James's and Ireland and Doyen of the Diplomatic Corps. Co-Chairman. Editorial by Professor J R Monroy, MD LACCS-UK. "The Eleven Years of the Heads of Mission Assembly". 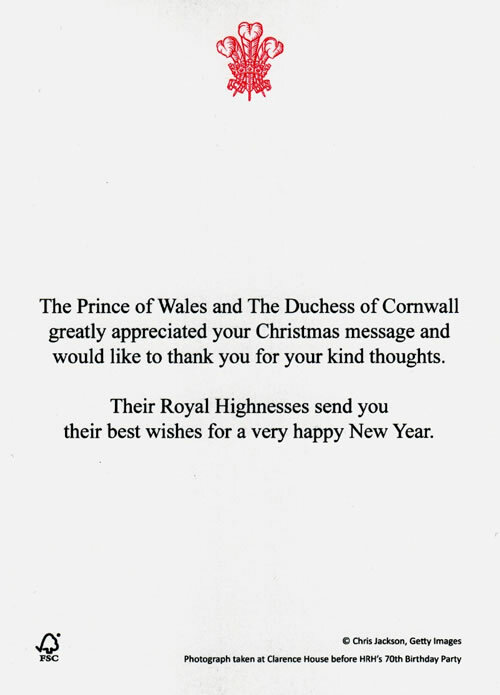 Click Letter to enlarge. 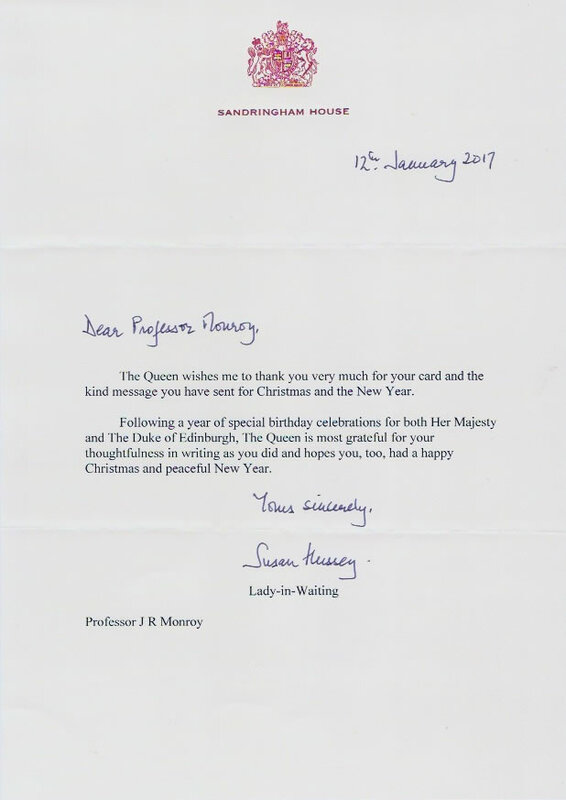 Hover mouse over enlarged letter to view links for Next and Previous letters. 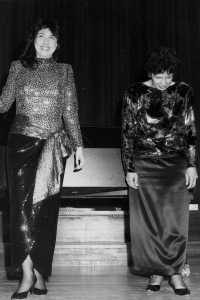 President and founder, Professor Juan R Monroy tells Judith Monk about 25 years of LACCS-UK and the arduous but rewarding task of bringing classical musicians from all over the world to the UK. There is a commonly used phrase in Latin America taken from the famous South American singer and 'King of the Tango' Carlos Gardel's song Volver, which asserts that Veinte años no es nada (twenty years is nothing). Well, for LACCS-UK twenty five years seems like no time at all! 25 years had been a rich personal and collective experience working in LACCS-UK projects. We have learned so much about the performing arts in Latin America and in Europe, especially with the classical guitar. We created an institution to serve the intellectual interest of the musicians and to benefits the culture of the Latin American and European people. We think that LACCS-UK must be preserved for the future generations. Without LACCS-UK our knowledge of the arts of Latin America and the Caribbean would be inadequate. What began as an effort to bring the arts of Latin America to London has become a global operation. London wouldn't be the same without the Latin American and Caribbean Cultural Society (LACCS-UK), an independent professional organisation that brings the best music of Latin America and elsewhere to this city, which is so welcoming to foreign cultures. 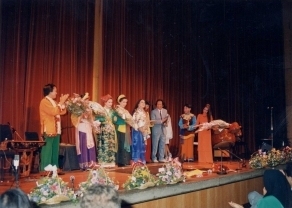 Having presented more than 300 artists during two decades of activities, in 2007 LACCS-UK is celebrating its twenty-fourth anniversary with music from the four corners of the globe. 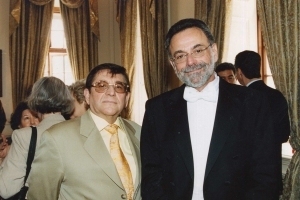 The society's president and founder, the Chilean professor and artistic sponsor J.R. Monroy, looks back and talks to us about the arduous but rewarding task of bringing classical Latin American music to the English capital. 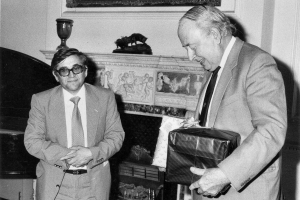 at Canning House, London, Julio 1987.
with the names of the Latin American Republics. music by Latin American composers. Jeremy Wilkin, Old Vic Company Actor. Steven Naylor, Musical Director and Pianist. and many others distinguished guests. How would you sum up these last 24 years? "Twenty years is nothing", in the words of the tango "Volver", which was written in 1935 by Alfredo Lepera, and interpreted by the great tango singer Carlos Gardel. This song has been very important to all Latin Americans who live far from our countries of origin. Cultural identity is important in order to survive in a foreign country, and in this sense I believe that our cultural and artistic activity over the past 24 years has strengthened the understanding of Latin American culture in Great Britain. 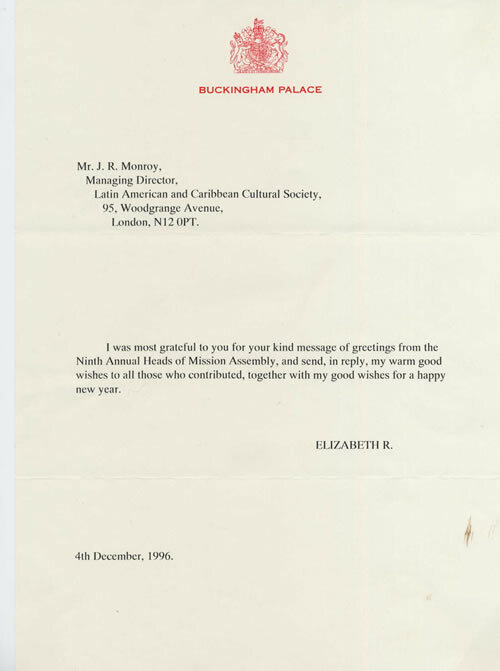 That is, I believe that our efforts haven't been in vain and that we have acted as pioneers in bringing Latin American culture to the British public. I remember that 25 years ago there were no Spanish-language newspapers or magazines in London and that the general public in London had only a limited understanding of Latin American culture, and little knowledge of the history and geography of the continent. There was no public organisation to demonstrate the wealth of Latin American culture, and this has been our mission for the past two decades. 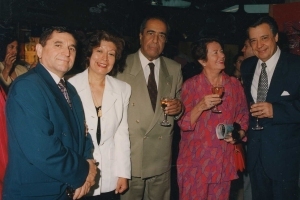 The creation of an independent organisation was a necessity of its time, perhaps for the first generation of Latin American emigrants who had been obliged to migrate to Europe - many of them to the UK - during the 1970s and 1980s. LACCS-UK was born as an idea or project to represent our cultural values, and in the end we decided on classical music and traditional music, given that these seemed to be the least well-known areas to the British public at that time. Of course, things are different today, and I think that to some modest extent we have contributed to the respect that we have now gained in the field of classical music. Tuesday, 23rd February 1988 at 7.30 p.m.
Wednesday 7th November 1990 at 8.00 P.M.
PURCELL ROOM, South Bank Centre, SE1. JAIME TORRES (Charango) and his Folk Group. 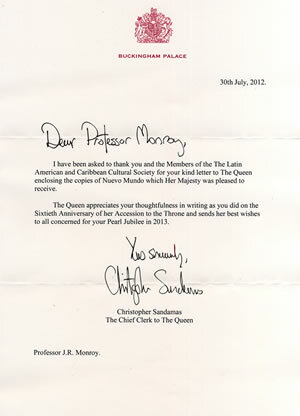 You have played an important role in making sure that Latin American music has its deserved presence in England. What satisfaction do you gain from this at a personal level? The early years of our work were the most difficult, given the lack of knowledge about Latin American music, artists and composers. It took a lot of effort to convince, first the public, and then London's major concert halls, in order to present some of the best musicians from countries such as Mexico, Brazil, Argentina, Venezuela, Colombia, Chile, Uruguay, Bolivia, Ecuador, Paraguay, Panama and Guatemala. In all these cases we brought excellent musicians from each country. 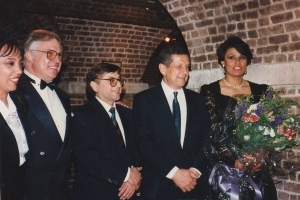 For example, we were able to première at the Royal Festival Hall in 1994 the "Misa Criolla", with its composer Ariel Ramirez, and the Royal Choral Society and an Argentinean folklore group. An important point is that the "Misa Criolla", which was renowned internationally and had its première in Buenos Aires in 1964, had to wait 30 years before its first performance in London. Another notable example was the celebration of the centenary of the birth of the Brazilian composer Heitor Villa-Lobos in 1987, at St John's Smith Square, with a symphony orchestra and a group of Argentinean singers and soloists. 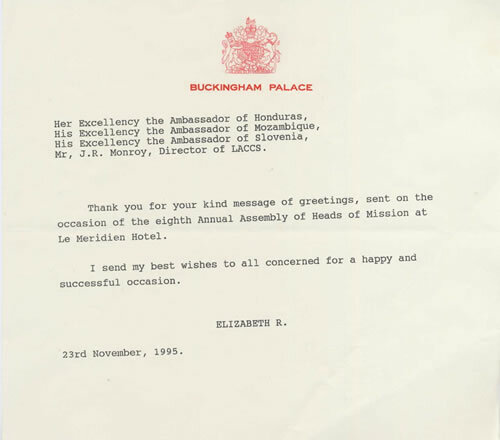 Among other important projects was the first concert of Mexican symphonic music in 1993 at the Barbican, with the Royal Philharmonic Orchestra and conducted by Enrique Diemecke at the invitation of LACCS-UK. With the English Chamber Orchestra we presented a number of concerts of Latin American music between 1980 and 1990; and in the Royal Festival Hall we introduced the music of Eduardo Falú, Francisco Migone, Radamés Gnattali, Antonio Carlos Jobim and Laurindo Almeida, with the participation of the great Brazilian guitarist Carlos Barbosa-Lima. Another resounding success was the celebration of 100 years of tango, with the orchestra of Mariano Mores and its 1997 première at the Royal Festival Hall with more than 100 musicians, dancers and chorus, a great musical and cultural spectacle that is remembered even today. We could continue listing many other valuable experiences, but every concert has made a contribution to our musical and cultural identity. 3rd April 1992 at 7.30 PM. St John's Smith Square, London SW.
for his life dedication to the music of Brazil. piano from Europe and Egypt. 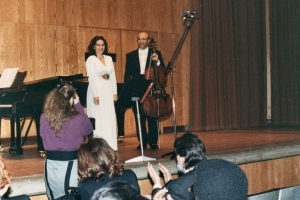 TUESDAY 6th March 1990 at 8.00 p.m.
NAGY EL HABASHY, Cello, Egypt. of the Arab Republic of Egypt. At the stage of the Purcell Room, RFH. the audience at the Purcell Room. How has the perception of Latin American music changed in Europe in recent years? A great deal, I believe. Apart from our work at LACCS-UK, the contribution of performers and composers, today there is a new generation of talent and new cultural movements are appearing with the aim of extracting the best of each country in order to diffuse it abroad. LACCS-UK has been the pioneering organisation - if not the only one - which has systematically encouraged the importing of our cultural values into Europe. I think that today conditions are far more favourable than in past decades, with the development of electronic communications, television, cable, etc., which have allowed our culture to become better known around the world. For you, what is music? Music is an important creative and recreational expression of every country's national culture. In the case of Latin America, it is important for our musical identity to be recognised, to export it and teach it in educational institutions and encourage knowledge about it through musical activities such as recitals and concerts. I recall that Heitor Villa-Lobos, considering the value of the music of his country and in general, in 1945-46 was promoting mass musical activities in Brazil, organising huge choirs and popularising Brazilian rhythms. The example of Villa-Lobos is very clear, and it represents the love of his country's musical tradition with which he, as a composer and promoter of events, felt identified. 15th May 1992 at.7.30 p.m. The Ambassador of the Arab Republic of Egypt. 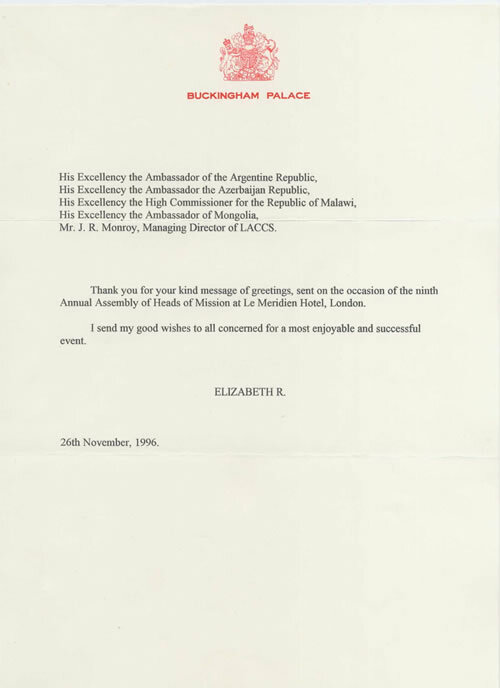 Friday 26th February 1993 at 7.30 p.m.
of Chile and Senora Jaqueline Riesco. arrangements of Chilean Traditional music. Do you believe that London is the world's musical capital? I think that London is one of the most musical cities of the world, with an almost inexhaustible number of events all around the English capital. For reasons that I don't fully understand, London has become the "City of Light", and I believe that our project has proved it to be so during these years of hard work in the area of music, which is one of the most competitive and advanced in the world. What is the secret of a successful concert? There is no secret - each person carries music in their heart, everyone hears and feels it in their own way, and it is through music that human beings have been able to communicate, even when the soul may be hidden and not wish to express itself. Music can make us feel happy, sad or nostalgic; in other words, music penetrates our hearts and helps us to balance our lived experience and overcome negative states of mind. A concert is made by the performer, the composer - and the judge is the audience. 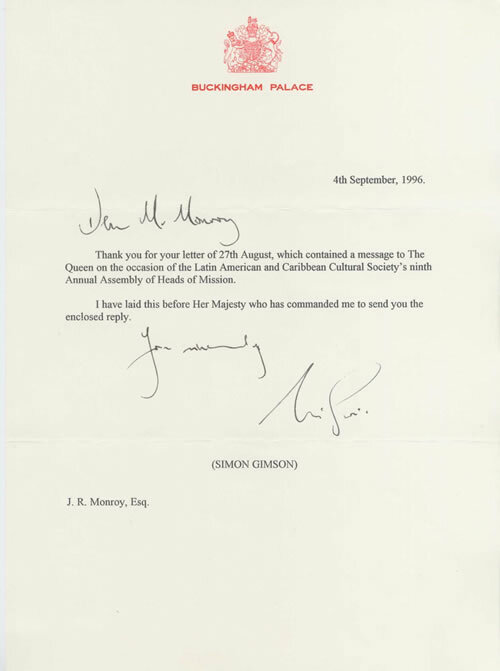 MONDAY 27th JULY 1998, 70 30 P.M.
of Chile to the Court of St. James's. Having represented more than 300 artists in these 24 years, could it be said that they are like a family that has been part of the development of this project? The artists and composers that have been presented by LACCS-UK, with great success in the major concert halls of London, are part of our project's history; LACCS-UK couldn't exist without them. Every one of them has been a part of the musical body of LACCS-UK as well as contributing to the diffusion of their country's music in London. Their participation is fundamental and from this perspective these musicians are the heart of a musical programme for Latin America which has been unfolding continuously with the aim of sharing programmes, styles and musical forms with musicians from other continents. How has the social panorama changed in this city during the last 24 years? Would you say it has been changing for the better or for the worse? The Latin American or Spanish-speaking community has grown over the years, and this growth has resulted in the creation of social organisations that support the resident community. Latin Americans today are not so isolated or culturally marginalised as they once were, there is a community and its organisations which one way or another serve as a point of reference for survival, education or work. The Latin American family has a greater sense of solidarity, given that it has its own resources, media of diffusion, newspapers, radio and language schools, as well as social clubs for entertainment and meetings for the new generations. Here popular music is important, including classes in salsa, samba, tango and other Latin American rhythms. 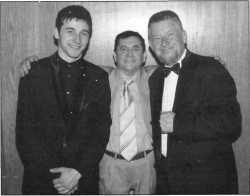 guests at ST JAMES'S CLUB in London, 2000. 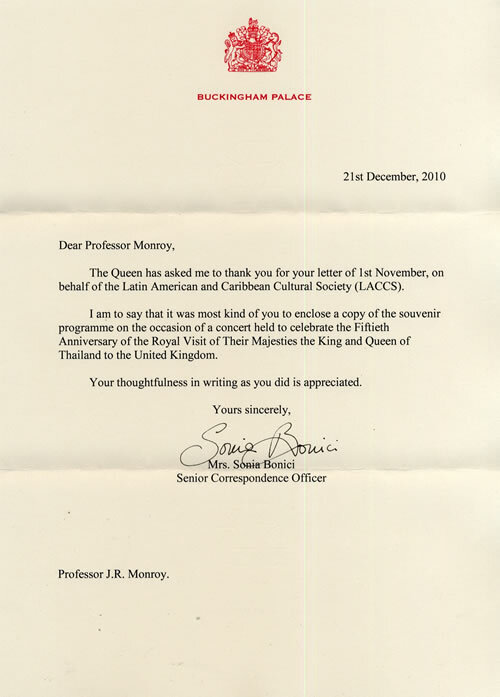 Prime Minister of British Modern History. Are there any artists in particular who have left a special mark on LACCS-UK? We will always remember Laurindo Almeida, who we were fortunate enough to bring to the Wigmore Hall in 1993, and in 1992 to honour him by playing his music at St John's Smith Square, with the Wren Orchestra, Carlos Barbosa-Lima, and Gaudencio Thiago de Mello on percussion. On that occasion LACCS-UK presented him with a diploma in recognition of his dedication to the promotion of the music of Brazil. We were lucky to spend some time with Laurindo and his wife, Didi, and get to know him personally, and his sense of humour was notable in addition to his immense musical talent as a composer and a performer. 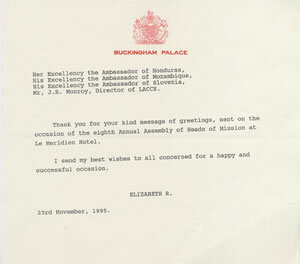 Credential to Her Majesty Elizabeth II. How are you going to celebrate this important anniversary? This year we are bringing some of the best artists from Latin America and we have also invited musicians from other countries. From Finland we are bringing Ismo Eskelinen, an extraordinary classical guitarist who will play several pieces from his country. Simon Schembri, from Malta, is making his contribution with music from his country and from Spain. Carlos Barbosa-Lima will be joined by Marcilio Lopes playing duos for guitar and mandolin in a programme of the best jazz from Brazil. Juanjo Dominguez and his guitar quartet, South American folk music, and the voice of Majo Lanzon. From Chile we are presenting five guitarists who will première works from that country: José Antonio Escobar, Carlos Pérez, Luis Orlandini, Oscar Ohlsen and Romilio Orellana. These concerts are being held at the Royal Festival Hall and Leighton House Museum. Later in the year we have invited a group of classical guitarists from Japan who will present a new repertoire of music from that country. For the end of the year we will be celebrating the 120th anniversary of the birth of Heitor Villa-Lobos, with first performances of previously unpublished works. INDEFATIGABILITY, relentlessness, tirelessness, and charm; just a few of the qualities that one needs to be a promoter of the arts in Britain's capital city. 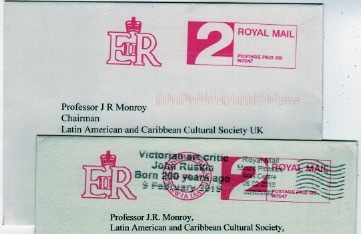 One such man is Juan R. Monroy, who heads the Latin American and Caribbean Cultural Society, better known by its acronym LACCS-UK. Now celebrating its 20th year, the society has become a pivotal organisation that draws artists and musicians, especially guitarists, from all over the world. If you attend any guitar recital in London, it is more than likely that LACCS-UK will have had an efficient hand in organising it. Looking through the pages of the brochure for the First International Festival of Latin American Caribbean Culture that took place in September 1984, I was amazed at the sheer diversity. Listed as one of the patrons was none other than the late poet laureate, Ted Hughes. 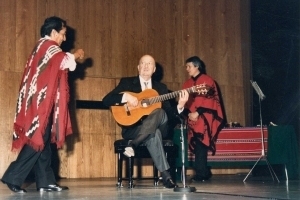 The guitarist extraordinaire Celso Machado represented Brazil while Eulogio Davalos performed the same service for Chile, Monroy's birthplace. The festival featured film, political comment, literature and music and took place at the Queen Elizabeth Hall and the Purcell Room at London's South Bank arts complex. The itinerary showed just how many people were involved; they must have known that they were participating in an historic cultural carnival. The explosive and vibrant outpouring that resulted set a new precedent for London. Since then, the society's successes have developed more in the musical field. One could say that the name LACCS-UK now brings to mind new, exciting performers playing music that the majority of the audience has not heard before. This makes for an attractive prospect when choosing which concert to go to in this most massive of cities. The South Bank has become LACCS-UK's spiritual home. Since I started working as reviews editor for Classical Guitar, the majority of London guitar concerts have taken place there. The good old days of the regular concerts at the Wigmore Hall seem to be behind us -although LACCS-UK utilised this special venue several times in the Eighties and Nineties - as scanning the listings there makes for sparse reading when it comes to guitar concerts. I must mention here that Maurice Summerfield, this magazine's managing editor, has kept alive the sponsorship of quality concerts at the Wigmore, so we cannot write it off as a serious venue for guitar just yet. LACCS-UK has seen a number of thoroughbreds of the classical guitar world pass through its stables. Alirio Diaz, the Duo Montes/Kircher, Maria Isabel Siewers, Wulfin Lieske have been among them. 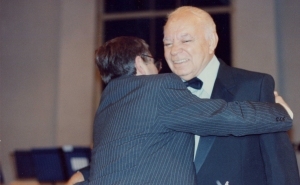 Laurindo Almeida was given a special lifetime achievement award in 1992 at an emotional ceremony and concert with Carlos Barbosa-Lima and Thiago de Mello. More recently Fabio Zanon performed Franciso Mignone's Twelve Studies in their entirety for the first time since their composition in 1970. 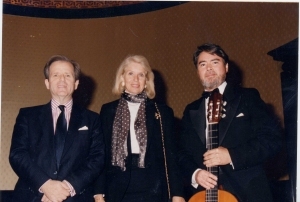 There have been countless other giants of the classical guitar and many new faces added to the roster each year. One thing for sure is that Monroy and his assistants continue to glean a diversity of talent from across the globe. A list of artists currently represented by LACCS-UK makes for colourful reading: Eduardo Falu (Argentina), Carlos Barbosa-Lima (Brazil, Sante Tursi (Italy), Vladislav Blaha, (Czech Republic), Ahmet Kanneci (Turkey), Silvina Lopez (Argentina), Alexander Swete (Austria), Cecelia Siqueira (Argentina), Galina Vale (Ukraine). One of the fundamental principles of LACCS-UK seems to have been that each concert contains at least one 'premiere'. This is a brave philosophy for an organisation keen to attract new audiences. And it is fortunate for composers and performers alike that Monroy believes so passionately in the importance of airing fresh compositions to a cosmopolitan public. It is clear that LACCS-UK concerts appeal to the highest common denominator. The anniversary year series of concerts at the Purcell Room shows as catholic taste in music as one could expect. Because of the village-like feel of the worldwide guitar community, Monroy has united the field. In perhaps a typically Latin American way, he has brought the general public to a far deeper understanding of the guitar than ever before. The fruits born for this occasion include: Andrzej Mokry (Poland), Timo Korhonen (Finland), Fabio Zanon (Brazil), Saulias Lipcius Duo (Lithuania), a father-and-son cello-and-guitar duo premiering new works by Diana Cemeryte and Jurgis Juozpaitis; Bue Trio (Argentina), rescuing the expression of Tango; Michio Nishihara, making a posthumous homage to the Chilean pianist Oscar Gacitu (1924-2001), plus Jose Antonio Escobar (Chile) and Alexander Swete (Austria). The second part of this concert series, which takes us to 2004, includes the world premiere of Angelo Gilardino's LiederKonzert for two guitars and chamber orchestra, a four-movement work lasting about 30 minutes. The concert, titled The Italian Guitar Traditions and featuring members of the English Chamber Orchestra, will take place on 25 February 2004. Sante Tursi (Italy), will start the first half of the concert with solo items by Gilardino, including his Sonata No.2 and three studies: No. 13, dedicated to the Chilean poet Pablo Neruda; No 35, a homage to Manuel Ponce; and No 40, dedicated to the Brazilian novelist Joao Guimaraes Rosa. Romilio Orellana (Chile) will join Tursi for the concerto. Evidently, a bright future is ahead for LACCS-UK. I leave the conclusion in Monroy's own words: The guitar is the most important instrument that has been incorporated into LACCS-UK's annual programme of concerts. Today LACCS-UK is an international organisation working to promote the world of classical music and to make a contribution to build symbolic bridges and mutual cultural understanding between Latin America and all nations. I believe that LACCS-UK's mission has been fulfilled in bringing to the British audiences a new understanding of Latin American music and culture. In the next decades LACCS-UK will continue to grow and aims to reach, mainly in Europe, an even larger audience. This will be through other means other than only the concerts at international venues such as the Festival Hall. LACCS-UK will also strive to help the younger talent, especially those with the love and dedication towards the classical guitar.